Honey is something that is sweet; it is pure; man has sought after honey for thousands of years in nearly every corner of the world. It is universally loved and with that it was only fitting for Nick to name his company Honey Jewelry Co.
An engagement ring and fine diamond specialist, Nick fell in love with the art of jewelry after completing a career-related assignment in high school. Soon after graduating high school, Nick attended GIA and now has over 14 years of experience in the jewelry industry. 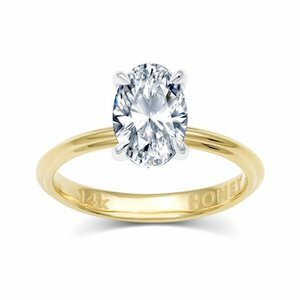 For anyone on the hunt for custom wedding or engagement rings, Honey Jewelry offers an emerging portfolio of exquisite bridal-focused jewelry selections. Our team consists of jewelry artisans who appreciate and know their craft. We are committed to designing nothing less than quality pieces. With a catalog of available custom engagement rings, there is no shortage of what is possible when searching for diamond rings in San Diego. Each of our handmade rings are available in 18k and 14k rose gold, yellow gold, and white gold, with many having the option of upgrading to platinum. Furthermore, our clients have full control over the look and feel of their masterpiece – we offer various center stone settings, from V-prong and bezel to claw-prong and our trademarked Zero-Gap Halo (multi micro prong). Regarding stones, one of the most important and impactful aspects of any ring, Honey Jewelry provides only the finest quality diamonds and gemstones. Our staff takes pride in knowing they are introducing clients to the best stones that are pleasing to the eye, when it comes to clarity, cut, and color. We ensure that each and every one of our meticulously sourced gemstones are worth our clients’ time and money – regardless of whether they reside in San Diego or abroad. Per the ring style, the center stones have varying starting sizes. For instance, our Viola ring starts at .50ct, while our Catherine piece starts at .75ct. Most of our rings allow our clients to choose additional shapes, as well. Of course, each aspect of assembling a distinguishing engagement ring will influence the cost. For that reason, we offer a no obligation quote for any desired specifications. We want our clients to be well-informed and comfortable with the choices allowed by their budget. We will always be committed to surpassing our clients’ expectations, pre and post-purchase. Honey Jewelry is in it for the long haul. Once you purchase one of our prized treasures, you’re part of our family. Opening a physical location in 2017, we appreciate being known as one of the go-to engagement ring stores in San Diego. As a result, our clients, far and wide have access to some of the most talented Californian jewelry artisans. Honey Jewelry’s team looks forward to sharing our comprehensive wealth of knowledge. Those seeking to surprise their loved ones with a handmade engagement ring are in a great position to be educated prior to making any sudden purchases. It goes without saying; Nick and the Honey Jewelry family have found a home on the Pacific coast of California. We love serving our local community and helping to solidify the union of lovers. Whether on a quest for wedding rings or engagement rings, the Honey Jewelry family is open to meeting anyone seeking guidance as they prepare for a lifetime with their significant other. We are happy to address any questions via email or by phone. For those interested in a more personal and intimate meeting, Honey founder Nick encourages potential clients to use his calendar to schedule a 60-minute consultation at a suitable day and time. In-person meetings at our Downtown San Diego office are also available. Our ultimate goal is to ensure our clients are prepared and content with their decisions. Honey Jewelry Co. is disrupting the traditional look and style of modern wedding and bridal jewelry – adding a splash of unique craftsmanship.